The national Blue Trip route is quite close to the Guesthouse – you can find further information about it, data, list of maps, and advices from the Magyar Természetbarát Szövetség (Hungarian Environment Friend Association). We provide further information on the basis of Vendégváró tourist webportal, about the sights that can be and are worth to be seen, about the tourist attractions. On the following links you can read the articles of the website that was designed in Miskolc. Let’s start with some”wet”, that is some places that are close to water. You can follow the next route on the Hernád trip, as a whole-day relaxation: Abuja – Gönc – Hernádszurdok – Vizsoly – Gibárt – Abaújkér – Hernádbűd – Felsődobsza – Szentistvánbaksa – Bőcs – Berzék – Ónod – Muhi. On the trip you can see rests of mottes, ancient churches, castles. In Abaújvár one can see the reformed church that’s walls are like a fort. Gáspár Károli is buried in Gönc – he was the one who first translated the Bible to Hungarian. The famous, 136.6 litres casks are also made here, it is the base rate of making aszú. The first Hungarian Bible was printed in Vizsoly. Its original issue can be seen in the reformed vicarage. In Abaújkér it is worth visiting the Bárczai Castle. If one is relaxed, can go to Bőcs to visit the Beer Factory. 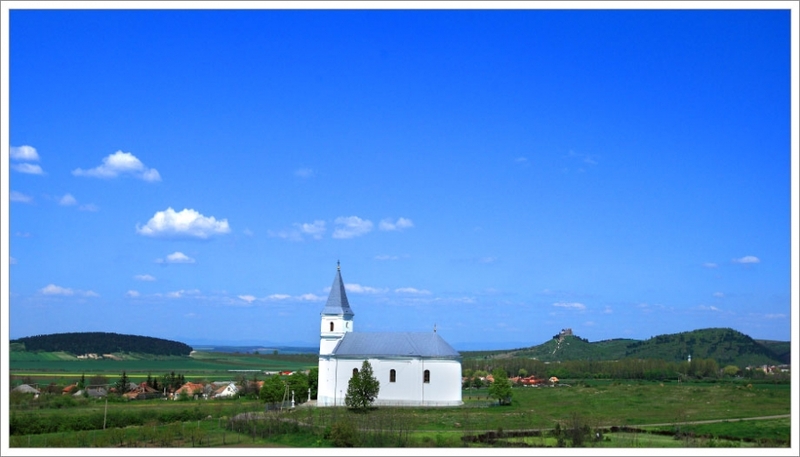 In Ónod one can visit the famous castle, and in Muhi one can see the place of the famous battle of Muhi, where Béla IV was defeated by the Mongolian troops of Batu Khan. Szerencs – Monok – Abaújszántó – Boldogkőváralja – Vizsoly – Gönc – Kéked – Hollóháza – Füzér – Széphalom – Sátoraljaújhely – Sárospatak. The distance is a little more than 150 kilometres. The route of the biggest bike trip in the Zemplén mountain can be planned for three days. 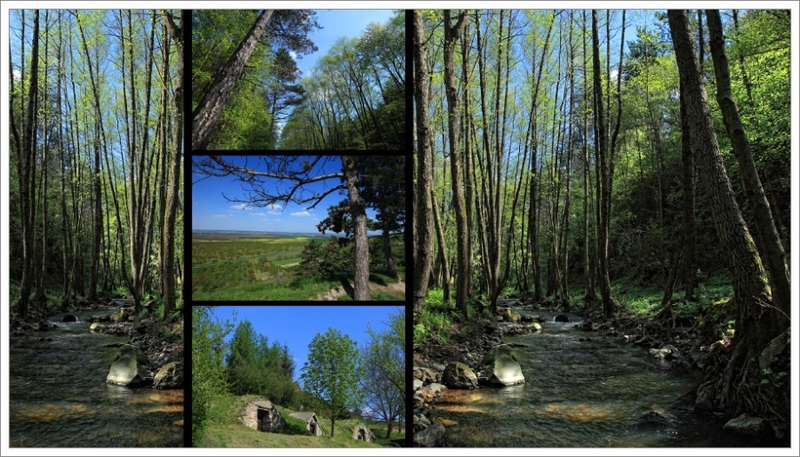 In the trip one can see the panorama, the sight of the untouched nature of Abaúj-hegyalja, the Zemplén mountain, and Hegyköz. The castle trip in the Zemplén goes through Boldogkőváralja – Regéc – Mokkoshotyka - Vágáshuta – Bózsva – Füzér-László-tanya (farm). The contiguous forest of the Zemplén mountain that’s majority is untouched, the tent-formed mountains, picturesque valleys, ancient castles provide romantic trips and excellent hikes for the visitors. The tourist route in Zemplén mountain is more than 340 km long, and provides many opportunities for trips, even for more days. Boldogkőfalu can be found between Abaújalpár and Boldogkőváralja. Here is one of the special attractions of the area, the so called stone sea. The Vendégváró (the guidebook of Borsod-Abaúj-Zemplén county, 2006) writes the next about it: one metre diameter andesite stones can be seen in 2.5-3km length, 200-300 metre width, on the slop of the Nagy-Korsós Mountain, 200-250 metres above the sea. The ice age had prominent effect on the peripheral regions, wildlife, and the surface as well. One of the most important process of the surface shaping, it has a specialized word: periglacial surface shaping. The most important aspect of this process is the weathering caused by ice. As a result of this process”stone seas” were created from the solid stones: the water flowed in the cracks of the stones and when the water froze it cracked the stones. The splitted stones fell apart. The more often is it about freezing point, the quicker is this process. It was characteristic for the temporary seasons, and the peripheral region of glaciation. Not far from the Völgykapu guesthouse, in 7-10 km distance there are two places for fishing. So that they can life for their passion, where the nature is silent, peaceful, and there is lot fish to catch out. One of them used to be the fishing lake near Vizsoly, the other is the river Hernád, the area of Gibárt. The places in front of the power plant and behind it can be recommended. For teaser: there are some pictures about the Hernád on the website of the North Hungarian Fishing Association. And there is an article in the internet. © 2019 Volgykapu Guesthouse – Hungary|ProPhoto Photography Theme by NetRivet, Inc.